Chattanooga, TN, April 3, 2019-Floor Focus magazine is proud to announce the winners of the tenth annual Vision Design Awards. Washington, DC, April 16, 2019—Industrial production edged down 0.1% in March after edging up 0.1% in February; for the first quarter as a whole, the index slipped 0.3% at an annual rate, according to the Federal Reserve. Glassboro, NJ, April 16, 2019—Install is leading the charge in developing and implementing a comprehensive concrete polishing curriculum. 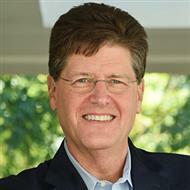 Concord, NC, April 16, 2019—Bonitz has announced the addition of Doug Dozier as its new chief financial officer. 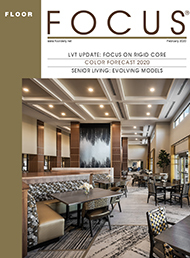 Dalton, GA, April 15, 2019—The Society for the Advancement of Gerontological Environments (SAGE) is pleased to announce the release of its 2018 senior living post occupancy evaluation (POE) white paper.